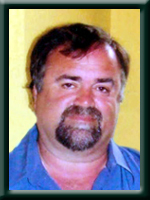 CROUSE – Dwight E., 55, of Charleston, Queens County, passed away peacefully in Queens General Hospital, Liverpool on Monday, November 25, 2013 surrounded by his family and friends. Born in Liverpool he was a son of Elizabeth J. (Selig) of West Berlin and the late L. Willard Crouse. Dwight was a former employee with Irving Oil Limited for 28 years working in different capacities. Most recently, he was a sales agent for Queens Auto Clearance Centre in Brooklyn. He was an avid hunter and fisherman and a member of the Nova Scotia Guides Association as well as the Charleston Fire Department. He also served as past president for the local Rails to Trails and was a member for over 25 years with Ducks Unlimited. He is survived by his wife Sheila (Jollimore), his daughter Hailey of Liverpool, his sons Kevin (April) of Lunenburg and Bryden at home. His grandchildren Olivia Crouse, Riley Crouse and Kale Langille. His sister Lynn (Jeff) Parks of Lewis Lake, his brother Brad of West Berlin. His stepmother Nellie Crouse of Bridgewater, his stepsisters Kathy (Bernie) Rumboldt of Bridgewater and Jo-Ann Levy of Falmouth. He was predeceased by a stepbrother Murray Levy. Cremation has taken place under the direction of Chandlers’ Funeral Home, Liverpool, NS. At Dwight’s request, there will be no funeral service. A Celebration of Dwight’s life will be held on Friday, November 29, 2013 at 7:00 p.m. in Charleston Fire Hall. No flowers by request, donations may be made to Queens General Hospital Foundation or to Charleston Fire Department. We send our heartfelt condolences to all of Dwights family, and friends. It is a very difficult time for all of you. Remember the good times and share your memories. God Bless. Curtis & Linda. My deep condolences in your time of loss. I will always remember Dwight for his sense of humor and ever present grin. I am saddened with news of Dwight passing. May you take comfort with keeping his memory close at heart. You guys all know just how much Dwight means to me. I can’t fathom how you guys will deal with the loss of such a great man. I sure will miss our little coffee dates we use to have before cadet meetings or when ever him and dad would meet me at timmies for a coffee. He was a man the loved his family and his friends to no end…. and we are here to tell you all that we all feel the same way about him. Dwight my dear you are going to be real busy up there looking out for all of us down here. You will truly be the best Guardian Angel up there. All my love and sympathy to you guys. Please accept my sincere sympathy and condolences. So sorry to hear of Dwight’s passing. He is at peace now and free from pain, so take comfort in that. well old buddy I don’t know what to say at this difficult time. we were great friends and worked together for a lot of years. sad to see you gone but I know you will be looking down on us because that is the way you are. well enough said old buddy. Sheila and family please accept my sincere condolences. Sandra and basil. Shelia and family I am so sorry to hear of your loss Dwight had a hard struggle and is now at peace but it never makes things easy for those left behind. my blessings are with the whole famil at this sad time.. Very sorry to hear of Dwight’s passing. God bless you all at this time of sorrow. We are both so sorry to hear of Dwight`s passing. May your memories help to get you through such a difficult time.Thinking of you, Sherri and Ted. We are both so sorry to hear of Dwight’s passing. May your wonderful memories help you get through this most difficult time. You’re in our thoughts and prayers. Shiela,bryden and hailie, we are so deepley sorry for your loss. Dwight was an awesome man….hold your memories close to your heart. Thoughts and prayers are with you all..
Sheila & Family, Betty, Lynn and Brad….so sorry to hear of Dwight’s passing. My thoughts are with all of you at this very sad time. Heart felt condolences to all of Dwight’s family and friends; keep him close by sharing all your memories. Thinking of you. I am so sorry for your loss. Deight will be missed by so many. Hopefully all the wonderful memories and stories will help you get through this most difficult time. I am thinking about you all. Sheila, I cannot even begin to imagine the loss you have experienced. Dwight will always be in your heart, always be that little voice that guides you through each day. Keep your memories close and your family and friends even closer. My thoughts are with you. We were sorry to hear about Dwight. Our thoughts and our prayers are with your family. Sheila, Hailey, Kevin & Bryden – We were so saddened to hear of Dwight’s passing. He fought a long hard battle. We know you have a lot of memories so hopefully they will help you through this difficult time. Sending our condolences to all of you with lots of love and prayers. So sorry to hear about Dwight. He was such a great guy & he will always will be remembered fondly by many. We were so sorry to hear of the passing of Dwight, May all the Special memories you made thru the years help you get thru this Very Difficult time. So sorry to hear about Dwight! Hang in there and take care! To Dwight’s family there are no words that one can say to ease your pain but to let you know that my thoughts are with you all at this sad and difficult time.Remember all the good time spent together . Dwight’s family, We are so sorry to hear of Dwight’s passing, you are all in our thoughts and prayers at this difficult time. Our thoughts and prayers are with all of Dwight’s family and friends. He is without pain now and at peace!!! My dear Sheila and all of Dwight’s family and close friends…I was so saddened to hear of your loss. Dwight was always a part of our family and like a brother to me. Hold all your many fond memories close to your heart and keep friends and family close by to help you get through the difficult days ahead. Dwight will be sadly missed but fondly remembered by all that knew him. RIP my dear friend. Sheila & Bryden – Please accept my sincere condolence for the loss of a dear husband and father. However you must also feel peace within knowing that Dwight is no longer suffering the pain he bravely endured the past few months. So sorry to hear of your brother’s passing. Please accept our condolences at this most difficult time. So sorry for your loss. Dwight will be greatly missed by so many. Please know you are in our thoughts during this difficult time, and may it bring you some comfort in the days ahead. Sheila and family so sorry to hear of your loss may God be with you and all your family……. I am so soory to hear of Dwight’s passing. Sheila, this is the most difficult time you will probably experience but turn to the Lord for comfort and guidance and the journey will not be near as difficult. If I can be of help or you need someone to talk to, don’t hesitate to contact me. So sorry for your loss.Take care and help each other through this most difficult time.May God be with you all. Sheila & Families, we are so sorry to hear of Dwight’s passing…he is now safe in the arms of the Angels and is Free from pain, and his suffering is no more…cherish his memories and keep them close to heart and they will bring you comfort in the days ahead…R.I.P. Dwight. So sorry to here of Dwight passing .He was a great person and friend . Good to work with he will be sadly missed our prayers and thoughts are with you and the family . Sheila and Family, we are so sorry to hear of your loss of Dwight I know now will be a difficult time for you all but keep your memories close. You will be in my prayers and thoughts. We were saddened to hear of Dwight’s passing. I remember all to well the fun we had bowling years ago with Dwight, my brother Chris and the Pole Star gang. You are in our thoughts. I want to extend my most sincere condolences on your loss. Your family is in my thoughts and prayers. We are deeply saddened by your tragic loss. May all those whose lives Dwight touched not be weakened by his absence. May they instead draw strength from his memory. I was so pleased that I got to visit Dwight at home. Dwight will be greatly missed by the Charleston Fire Department and by his community. Sorry to hear of your loss. Our sympathy to you all at this sad time. We were so sorry to hear of Dwight’s passing.Our sincerest condolences to you all. We are so sorry to learn of Dwight’s passing ,he was so jolly and always had a smile for everyone. Tommy has fond memories of the times spent with him, he sends his sincere condolences as do we. Sheila and family, Our sympathy to the family. Dwight was one of a kind. Always the first to step forward to help. I commented to him once that I could always say, ” know someone who has that or if he doesn’t I know he could find it, no matter what you were looking for. He was a kind soul, he will be missed by so many. We are very sorry to hear of Dwight’s passing. We enjoyed our talks with him. Take care and God Bless. Sheila and family. We are so sorry to hear of your loss. Remember all the good times that you had together. Our thoughts are with you. My Sincere Condolences to Dwight’s family. Dwight certainly will be missed by so many people. Sheila and Family……..So sorry to hear of your loss .Please accept our heart felt sympathy .Our thoughts are with you at this sad time. So sorry to hear about Dwight’s passing. He was far too young with so much to live for. It was a privilege for me to call Dwight a friend. We shared many an adventure together and I will always remember them as good times made so especially by Dwight’s sense of humour and his zest for life. I regret that I am unable to be at the Fire Hall in Charleston on Friday night. While there will be sadness I hope that it is also a celebration, even a party. That would be Dwight’s style. Know that you are in our prayers. I am so sorry to hear of Dwight’s passing. You are in my thoughts and prayers at this very difficult time. My thoughts are with you all at this sad time. We are so sorry for your loss , out heartfelt sympathy to all of you. Please accept our most sincere condolences in the loss of your dear father/husband/brother/uncle. Let your memories ease your grief and the company of family and friends comfort you during the difficult times. Our thoughts and prayers are with you all. My thoughts and prayers go out to all the family. I knew Dwight for a few years, and he was a very nice man and surely will be missed by many. Our Sincere Condolences to Dwight’s family. Dwight certainly will be missed by many . God Bless. Our sincere condolences to the family during this difficult time. condolences and we’ll be thinking of you. God Bless You All. Sheila and family – we are so saddened to hear of your loss. Dwight was a great man and will be fondly remembered, always. You are in our thoughts and prayers. We were saddened to hear of Dwight’s passing. In the brief time that we knew him we got to admire his cheerful demeanour and optimistic outlook. We will miss him. We were sorry to hear the sad news of Dwight’s passing, keep your memories close in your hearts. You are in our thoughts and prayers. God Bless. this is a very sad time for the families please know you are in our prayers. I remember Dwight as a little boy getting on the school bus i have a lot of fond memories of Dwight as we grew up together. Blessings to you Shelia. We are so very sorry to hear of Dwight’s passing.He was a dear man who was loved by so many.We will always remember his quiet gentle ways and his beautiful smile.He has been a lifetime friend and he will be missed by all.Our sincere sympathy to all of Dwight’s family. Sheila and family we are so very sorry that such a hole will be left by Dwight but as you see by all that talks about him he has left one of the best impressions on people that only he could do and that is something to be proud of and smile when you think of him because I do and when I think of some of the jokes he told I still crack up good or bad we all laughed didn’t we and that is the best way to remember such a great guy..RIP Dwight you had your wings for a long time now fly high. Shelia and family so sorry to hear of your loss. Our thoughts and prayers are with you. Sheila and family, sorry for your loss, may all the memories bring comfort. So sorry to hear of your loss Shelia, in my thoughts !! !